If you want to protect your livelihood, you need a sturdy fence to protect against any threatening elements. Since 1964, Rustic Fence has been designing, creating, and installing top-notch fences in Bedford, TX. Whether it’s a residential or commercial property, we work hard to ensure that you have the best fence in town! All of our fences are created with the highest grade commercial materials so that they can withstand wear and tear, weather, and many years of constant use. Our expert team will install your new fence quickly and safely so that it can immediately begin protecting your property. We work with residential and commercial clients ranging from Six Flags and the Texas Rangers to small businesses and local homeowners in Bedford. We enjoy working on any project no matter how large or small, and if you have a custom idea, we will construct it perfectly for you! With over 50 years of experience in the fencing industry, Rustic Fence knows how to get the job done. We will work with you every step of the way so that you end up with a fence that is perfect for you and your property. Plus, all of our fences and products come with long-lasting warranties so that you can always feel confident in your choice. 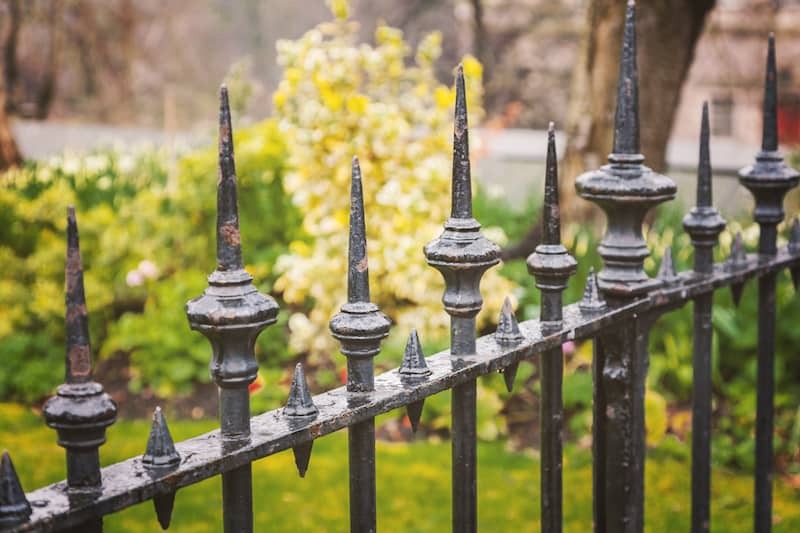 Whether you desire a commercial chain link fence, a custom iron arbor, or a white picket fence for your garden, Rustic Fence will make it happen! Contact us today for a free estimate plus more information on how we can give you the best fence in Bedford, TX!